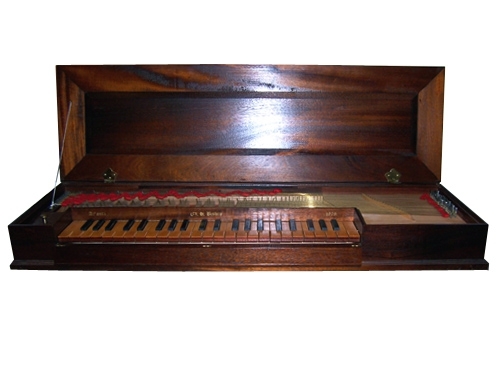 I love this little instrument so much that I really prefer to rent it than sell it, but we can always make you another! This is what I tuck into the car for trips away. Put it in a travel case and check it on the airplane. Who needs an electronic keyboard? 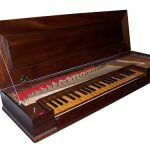 It is an absolute delight to play and though it has a rich full voice for a clavichord, you never need worry about disturbing anybody outside of your immediate room. 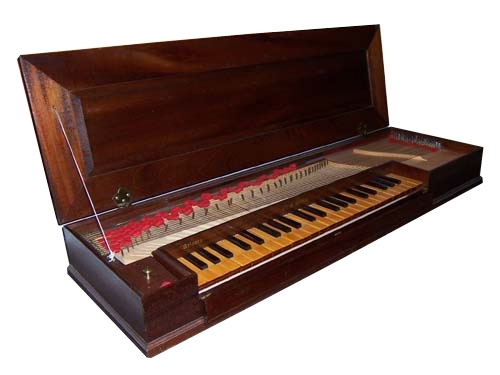 The instrument in the photo was originally a ZHI King of Sweden clavichord kit built by Walter Bishop and recently refurbished and voiced by Anne. 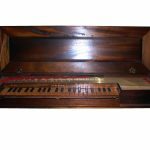 If you would like a new clavichord, one can be made in short order. Action 28 pairs of strings, primarily double-fretted, maple naturals, cherry sharps.